Sharing is caring and a great sister has to share her awesome beauty bargain finds. Without any further ado and super excitement, you all have up until next Tuesday, i.e. 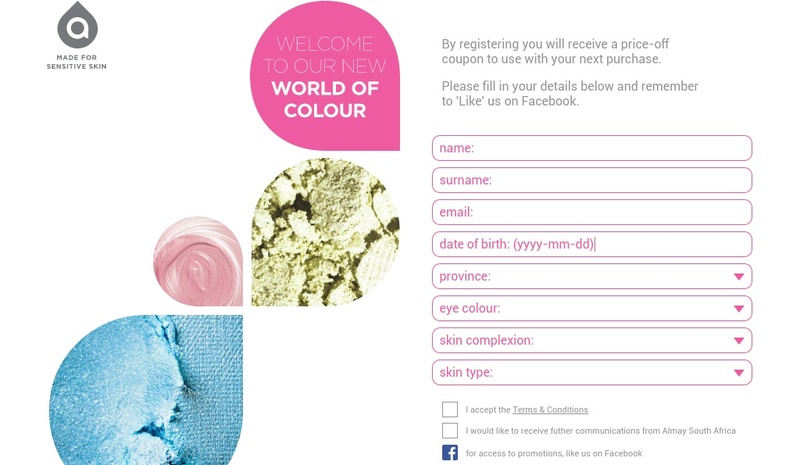 30 June 2015, to sign up to receive regular beauty news from the Almay World of Colour. 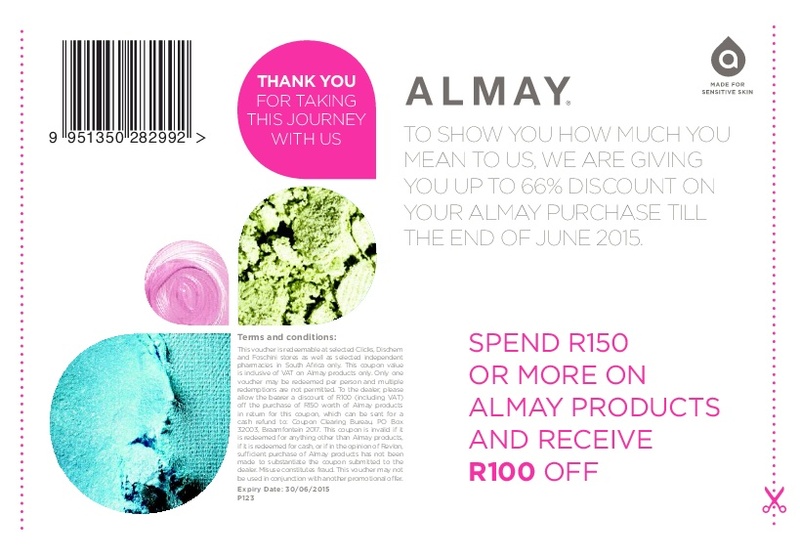 Once signed up you will immediately have a R100 voucher in your possession to be redeemed towards any Almay product purchase/s amounting to R150 or more at selected Clicks, Dischem and Foschini stores. So, go to church, then go spoil yourself silly with hypoallergenic Almay beauty products. You may thank me later. You hooked a sister up. Thank you. I will tag you on my picture of goodies. Awesome! I cannot wait to see the goodies.